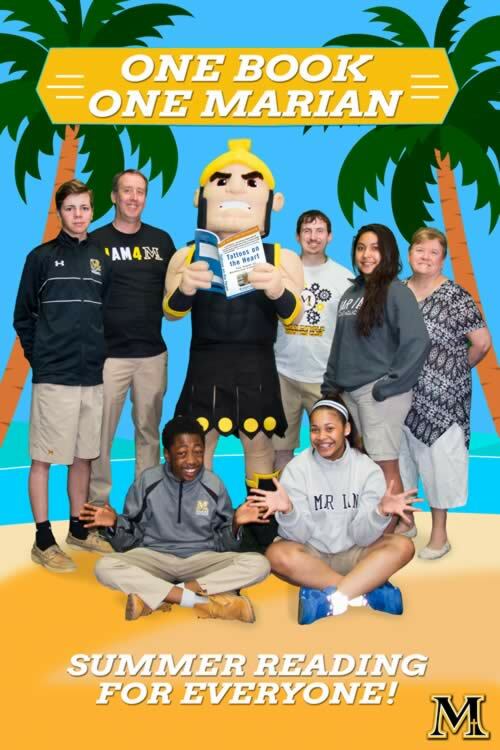 Chicago Heights, IL-(ENEWSPF)- Marian Catholic High School started a brand-new reading initiative this summer called One Book, One Marian, an opportunity to engage and enlighten Marian Catholic students and staff, cultivating a sense of community through reading. 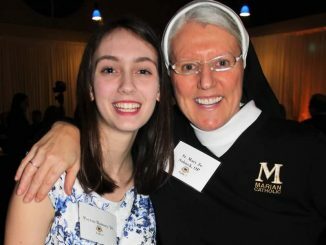 The initiative also aims to unite the Marian Catholic community together in reflection and discussion. The book is required reading for students, in addition to the other books in each class’ summer reading lists. All students must purchase, read and annotate the book. Faculty and staff are also reading the book. 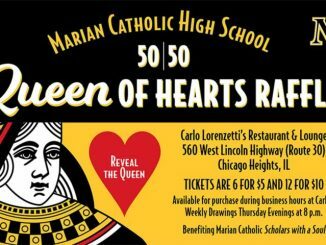 Additionally, all members of the Marian Catholic community are encouraged to participate. The school-wide reading program begins with Tattoos on the Heart by Father Gregory Boyle. Published in 2011 and described by the Los Angeles Time as literature “Destined to become a classic of both urban reportage and contemporary spirituality”, the book is a series of parables inspired by faith in which Father Gregory Boyle distills his experience working in the Boyle Heights neighborhood of Los Angeles running his gang-intervention program, Homeboy Industries. Marian Catholic held its “Schedule Pick-up Day” on Friday, July 20. The 2018-2019 school year unfolds beginning the week of August 13 with meetings and training for staff, including a staff Mass on the Feast of the Assumption of Mary. That week culminates with the school’s second annual Marian Catholic Night at the Chicago White Sox on Saturday, August 18. The game is at Guaranteed Rate Field at 6:10 P.M. against the Kansas City Royals. 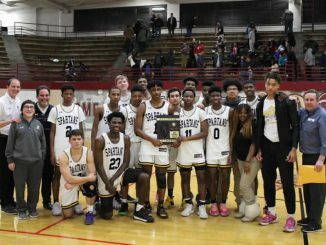 The Marian Catholic Band will open the night playing of The Star Spangled Banner. Students will begin to return to classes during the week of August 20.